When I'm looking for new center ideas they have to have three traits: easy to set up, fun for kids, provides meaningful practice. This center has it all! All you need is I Spy books or something similar with lots of pictures for kids to look through. Even old magazines or catalogs would work. 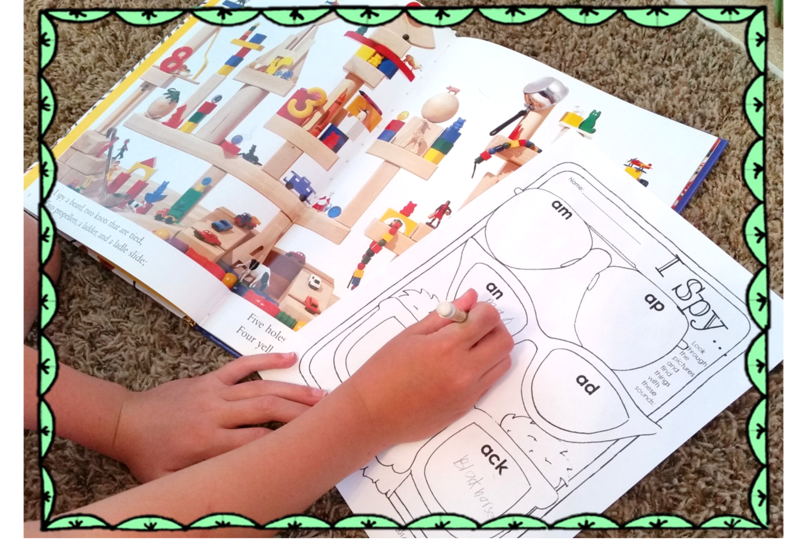 Kids look through the pages and record items they see that match specific phonics patterns. Here the child found "man" and "pan" for the /an/ word family. 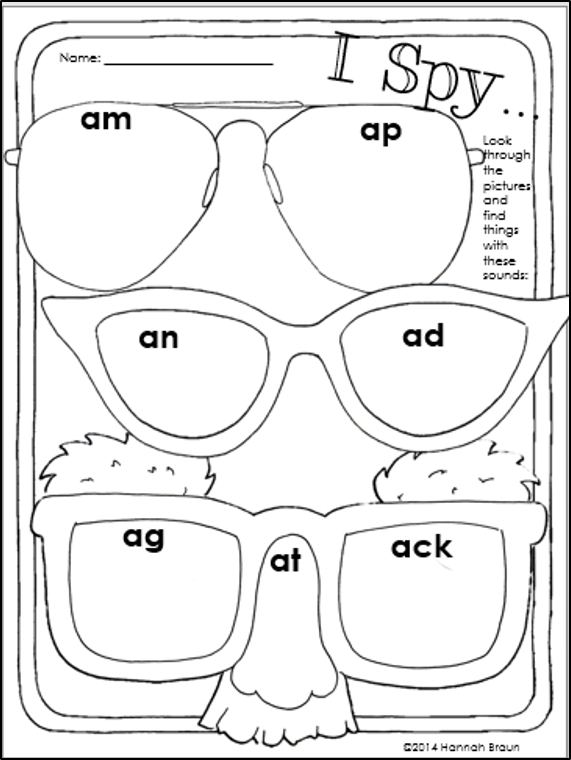 This recording sheet focuses on short a word families. 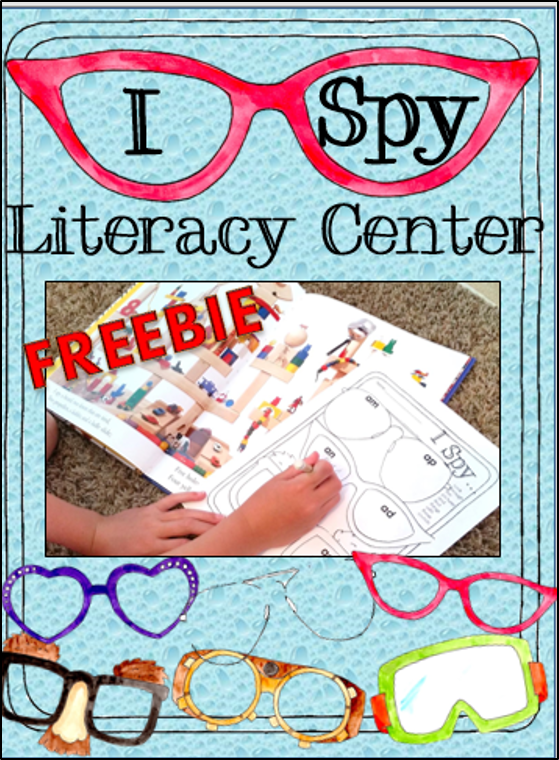 Kids love I Spy books and they will be excited to practice phonics skills with this center!